The human brain is actually the center of the nervous system of a human body. It is also a very complex organ of a human body. Very often, human brain is compared to a computer as it has the capability to process a vast amount of informaton in itself. The brain is divided into 5 separate regions. These are: Frontal Lobe, Parietal Lobe, Occipital Lobe, Temporal Lobe and Cerebellum. However, there are some more body organs which are somehow related to the brain. These are brain stem, mid-brain, spinal cord and medulla. 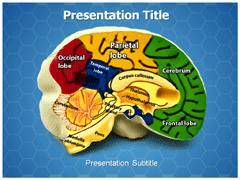 The brain anatomy PPT templates which we offer are highly professional and have the potential to lead to the preparation of attractive and exclusive PowerPoint presentations realted to brain anatomy so that the audience can effectively understand the topic. 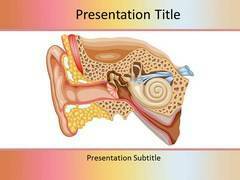 The brain anatomy PowerPoint templates have exotic PowerPoint backgrounds which have the potential to add a thrill to the monotonous presentation and make it lively. 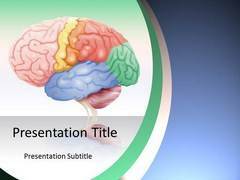 Also, these brain anatomy PowerPoint templates are available with a total number of 30 slides at an unbelievable but highly affordable price. 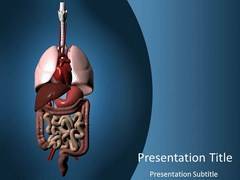 These medical PowerPoint templates on brain anatomy will help you to come up with exceptionally professional PowerPoint presentations. Search Tags: brain, cerebral cortex, cerebral hemispheres, irreversible brain damage, convolutions, medicine , analysis, biology, cytology, diagnosis, dissection, division, embryology, etiology, examination, genetics, histology, inquiry, investigation, medicine, morphology, physiology, zoology, build, composition, figure, form, frame, framework, makeup, physique, shape.